The biggest hurdle most new dropshipping entrepreneurs face is picking a niche and products to focus on. And it's understandable – it's likely the biggest decision you'll make and has long-term consequences on the success or failure of the business. The most common mistake at this stage is picking a product based on personal interest or passion. This is an acceptable strategy if being interested in the product is your primary objective, not necessarily business success. But if your #1 goal is to build a profitable dropshipping site, you'll want to consider setting your personal passions aside when doing market research, or at least making sure they meet with the criteria discussed below. Manufacture Your Own Product – You control distribution and are the sole source for the item. This limits competition and allows you to charge a premium price. If you intend to dropship products, you'll be selling existing products manufactured by someone else, so this isn't an option. Have Access to Exclusive Pricing or Distribution – If you can arrange an exclusive agreement to carry a product – or if you have access to exclusive pricing from a manufacturer – you can profitably sell online without creating your own product. These arrangements can be difficult to arrange, however, and hundreds of other dropship merchants will have access to similar goods and wholesale prices. Sell at the Lowest Price – If you can offer the lowest price, you'll likely steal business from a large chunk of the market. The only problem? It's a business model doomed to failure. If the only thing of value you have to offer is a low price, you'll be caught in a pricing war that will strip virtually all your profits. Trying to compete against Amazon and other established online giants on price is generally a poor strategy. Add Value in Non-Pricing Terms – Offering valuable information that complements your products is the BEST way to differentiate yourself and charge a premium price. Entrepreneurs set out to solve people's problems, and that's no different in the world of ecommerce and dropshipping. Offering expert advice and guidance within your niche is the best way to build a profitable dropshipping business. Adding Value in Ecommerce – Just add value! Simple enough, right? Well, that's easier said than done. Some products and niches lend themselves to this strategy more than others. You should look for a few key characteristics that make adding value with educational content much easier. High Quality Product Images - You'll need to make sure customers get a good sense of the product and that starts with high quality product images. Check out Burst for free product photos. It also features some business ideas you can use to get your store up and running. Have Many Components – The more components a product needs to function properly, the more likely customers are to turn to the internet for answers. Which purchase is more confusing: buying a new office chair or buying a home security camera system that requires multiple cameras, complex wiring and a recorder? The more components a product needs – and the more variety among those components – the greater your opportunity to add value by advising customers on which products are compatible. Are Customizable/Confusing – Along the same vein, confusing and customizable products are perfect for adding value through content. Would you inherently know how to select the best hot water solar panel configuration for your climate or which type of wireless dog collar system is right for your yard? Being able to offer specific guidance on what types of products are best suited for specific environments and customers is a great way to add value. Require Technical Setup or Installation – It's easy to offer expert guidance for products that are difficult to set up, install or assemble. Take the security camera system from before. Let's say the camera site had a detailed 50-page installation guide that also covered the most common mistakes people make installing their own systems. If you thought the guide could save you time and hassle, there's a good chance you'd buy it from that website even if it was available for a few dollars less elsewhere. For store owners, the guides add tremendous value to customers and don't cost anything to provide once they're created. All customers aren't created equally. It's strange how some customers buying small items feel entitled to demand the moon while other big spenders rarely ask for anything. Hobbyists – People love their hobbies and will spend mind-boggling amounts on equipment, training and tools for them. Many serious mountain bikers have bikes that cost more than their cars, and folks who love to fish might spend a fortune outfitting their boats. If you can target the right hobbyist niche and successfully connect with enthusiasts and their needs, you can do very well. Businesses – Business clients are sometimes more price-sensitive but will almost always order in larger quantities than individual consumers. Once you've established a rapport and earned their trust, you open the door to a long-term, high-volume profitable relationship. If at all possible, try to sell products that appeal to both individual customers and businesses. Repeat Buyers – Recurring revenue is a beautiful thing. If you sell products that are disposable and/or need to be reordered frequently, you can grow rapidly as you build a loyal customer base that frequently returns to purchase. The Perfect Price – Make sure you strongly consider the price point relative to the level of pre-sale service you'll need to provide. Most people feel comfortable placing a $200 order online without talking to someone on the phone. But what about a $1,500 item they're unfamiliar with? Chances are, most would want to chat directly with a sales representative before making such a large purchase, both to ensure the item is a good fit and to make sure the store is legitimate. If you plan to sell high-priced items, make sure you're able to offer personalized phone support. You'll also want to ensure that the margins are rich enough to justify the pre-sale support you'll need to offer. Often, the $50 to $200 price range is the sweet spot to maximize revenue without having to provide extensive pre-sale support. MAP Pricing – Some manufacturers will set what's called a minimum advertised price (MAP) for their products, and require that all resellers price their products at or above certain levels. This pricing floor prevents the price wars that often break out – especially for products that are easily drop shipped – and helps ensure that merchants can make a reasonable profit by carrying a manufacturer's products. If you can find a niche where manufacturers enforce MAP pricing it's a huge benefit, especially if you plan on building a high-value and information-rich site. With prices the same across all competitors, you can compete on the strength of your website and won't have to worry about losing business to less reputable but cheaper competition. Marketing Potential – The time to think about how you'll market a business is before you launch it, not three months in when you realize that customer acquisition is a nightmare. Can you brainstorm a number of ways you could promote your store by, for example, writing articles, giving away products or reaching out to active online communities that use the products you're selling? If not, you may want to reconsider. Selling a product with many accessories is a great way to improve your overall margin. Lots of Accessories – As a general rule of retail, margins on lower priced accessories are significantly higher than those of high-priced items. While a cell phone store may only make a 5% margin on the latest smartphone, they'll almost certainly make a 100% or 200% margin on the case that goes with it. As customers, we're also much more sensitive about the price on a big-ticket item and care less about the price of smaller accessories. To use the previous example, you'd likely shop around for the best price on an expensive smartphone. But are you going to call around to find the best price on a $20 to $30 case? Probably not. You'll likely purchase it from the same store where you bought the phone. Low Turnover – We hope you're convinced by now that investing in an education-rich, high-quality site will pay big dividends. But if the products you sell change every year, maintaining that site is quickly going to turn into a mountain of work. Try to find products that aren't updated with new models every year. That way, the time and money you invest in a superb site will last longer. Hard to Find Locally – Selling a product that's hard to find locally will increase your chances of success as long as you don't get too specific. Most people needing a garden rake or a sprinkler would simply run down to the local hardware store. But where would you buy a medieval knight's costume or falcon training equipment? You'd probably head to Google and start searching. Smaller Is Usually Better – In a world where free shipping is often expected, it can be a challenge to sell large, heavy equipment that's expensive to ship. The smaller the items, the easier they are to ship cheaply to your customers. Picking a profitable niche isn't easy and requires you to consider numerous factors. These guidelines should give you a good idea of the types of drop shipped products that work well. For more on these attributes, please see this extended article on picking a profitable dropshipping niche. Without demand, it doesn't matter if your niche fits 100% of the attributes listed above. If nobody wants your product, you'll have a hard time making any money! As the old saying goes, it's much easier to fill existing demand than to try to create it. Fortunately, a number of online tools allow you to measure demand for a product or market. The most well-known and popular is the Google Keyword Tool. The best way to measure demand for an item online is to see how many people are searching for it using a search engine like Google. Fortunately, Google makes this search volume publicly available via its keyword tool. Simply type in a word or phrase, and the tool tells you how many people are searching for it every month. Match Type – The tool will let you select broad, phrase or exact match types when it reports search volumes. Unless you have a good reason to do otherwise, you should use the exact match option. 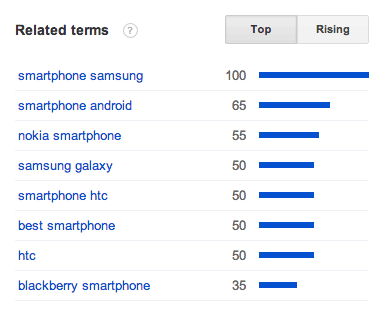 This will give you a much more accurate picture of the applicable search volume for the keyword. For a more detailed explanation, see this article on understanding match types. Search Location – Make sure you look at the difference between local search volume (in your country or a user-defined region) and global search volumes. If you'll be selling primarily in the U.S., you should focus on the local search volumes and ignore the global results, as that's where most of your customers will be. Long-Tail Variations – It's easy to fixate on the broad, one- or two-word search terms that get massive amounts of search volume. In reality, it's the longer, more specific and lower volume search queries that will make up most of your traffic from the search engines. These longer, more detailed search terms are commonly referred to as “long-tail” searches. Keep this in mind when you're looking at potential markets and niches to enter. If a search term has many variations that are actively searched for, that's a good sign that the market is fairly deep with lots of variety and interest. But if search queries and related volume drop off precipitously after the first few high-level words, there's probably less related long-tail traffic. To learn more about estimating traffic, see these guides to estimating long-tail traffic and spotting niches with significant long-tail potential. Seasonality: Understanding the seasonality of a market – that is, if the demand for a product changes dramatically at different points in the year – is crucially important. Because the keyword tool provides data on a monthly basis, you can draw some misleading conclusions if you measure search volumes during the wrong time of year. For any product you're seriously considering, you'll want to spend time understanding the intricacies of the niche's search volume. 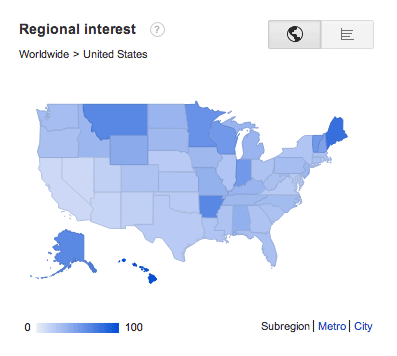 Using the Google Trend tool to understand search volumes, geographic concentration, high-level search trends and seasonality will offer insights that can help you avoid costly mistakes and optimize your marketing efforts. Conducting competitive analysis on a potential market can be tricky. Too much competition and you'll have difficulty building traffic and competing with established players. Too little competition can indicate a tiny market that will drastically limit how big you'll be able to grow. Some dropshipping stores use paid advertising, but most will rely heavily on free traffic from the search engines to build a profitable business model. With this in mind, the best way to measure the overall competition in a market is to examine the organically listed (i.e., not advertised) sites on the first page of Google for a specific term. In order to generate a decent level of traffic, you'll need to successfully compete with (i.e., outrank) the sites on Google's first page. The world of search engine optimization (SEO) is one we can't do justice in this dropshipping guide. For a more detailed discussion, we highly recommend SEOmoz's comprehensive “Beginner's Guide to SEO” or this more focused 15-minute SEO guide. But for the sake of evaluating competition, these four metrics will help you quickly gauge how strong the field is – and how hard it will be to outrank your competitors and generate traffic. Google's ranking algorithm relies heavily on links. All else equal, the more links a site receives the higher it will rank in the search results. Knowing how many links are pointing to a site will give you an idea of how much work you'll need to do (in terms of earning and building links to your own site) to outrank your competitor. There are dozens of different SEO metrics that are commonly used, but one in particularly is useful when evaluating the ranking strength of a site: the number of unique domains that link to it. Often called “linking root domains” or “unique linking domains”, this metric represents the number of unique domains (ie independent sources) that link to a site and ignores duplicate links from the same domain. To best understand this concept it's helpful to think of links like personal recommendations. If your best friend comes to you and recommends a restaurant, you may remember it. And if he raves about it every day for a week (a total of seven recommendations) you'll likely be moved to eat there. But even his fanaticism wouldn't be nearly as powerful as if seven unique, unrelated friends highly recommended the restaurant. Because they're independent sources, their recommendations hold much more authority. The same is true when analyzing links to a site. A domain can link to a site repeatedly, but it's really one “unique” recommendation, and this is where common SEO metrics like “total number of links” can paint an inaccurate picture when measuring a site's strength. Instead, looking at the number of unique linking domains will give you a much better idea of how difficult it will be to compete with a site in the search results. Google places a high emphasis on unique linking domains, so you should, too. The best way to get this figure is to use a tool called Open Site Explorer. Developed by a company called SEOMoz, Open Site Explorer provides a number of valuable SEO metrics and data. For full functionality, you'll need to purchase a paid membership but it's possible to get the metric we want - “Linking Root Domains” as labeled by the tool – for free. When examining Google's search results, you'll want to look most carefully at the link metrics for the top few sites (#1 and #2 in Google) as well as the link metrics for the last site on the front page (#10 in Google). This will give you a rough idea of how much work is needed to not only rank #1, but also to simply make it on the first page of search results. The vast majority of searchers ends up clicking on one of the top ten results in Google, so you want to understand how difficult it will be to get your site ranked there. 0 to 50 Linking Root Domains: Will likely be on the low end for most worthwhile markets. Most sites with quality content and some focused marketing and SEO effort should be able to get 50 linking domains within a year. 50 to 250 Linking Root Domains: This is a more realistic range for top-ranked sites in decently sized niche markets. It may take a multi-year approach to build a backlink profile in this range, but it's feasible. A competitive landscape with this profile often offers the best work-to-reward ratio, especially for individual dropshipping entrepreneurs or very small teams. 250+ Linking Root Domains: Unless you're a talented marketer or SEO ninja, building up more than 250 unique links will take some serious time and commitment. It's not always a deal killer – just make sure you're ready to face some entrenched competition. When determining a site's rank, Google doesn't just look at the number of links a site has. It also considers the quality of those links. So a link from Mike's Marshmallow Blog with five readers won't count anywhere close to as much as a link from The New York Times. The metric Google uses to measure a page's authority is called PageRank. It's not the end-all-be-all of SEO metrics, but it's a quick way to get an idea of how important Google thinks a page is. As with unique linking sites, you can get a sense for how competitive a market is by looking at the PageRank for the homepages of top-ranked sites. The easiest way to check PageRank is with a browser extension such as SearchStatus for Firefox. You can also check sites manually using sites like this one. PageRank 1 to 2: A relatively small amount of authority. PageRank in this range for the top homepages likely indicates a relatively small market. PageRank 3 to 4: A much more common range for highly ranked sites in competitive niche markets. It's not necessarily easy to reach this level of authority – but not impossible, either. Markets in this range usually offer the best work-to-reward range for individual drop shippers. PageRank 4 to 5: A fairly high level of authority. To reach this level, you'll need to get numerous links from respected, authoritative sites, in addition to a fair number of other links. PageRank 6+: You've got a full-time marketing and SEO department, right? Because you'll need them to compete in a market with sites like this. Site Quality and Usefulness – Visit the top-ranked sites for a market and put yourself in the shoes of a customer. Do they appear inviting and welcoming or old and outdated? Are the sites well-organized and easy to navigate or is it a struggle to even find the search box? Do they provide high-quality information and detailed product listings or do you have to squint to make out the grainy product images? In short, how likely would you be to purchase from those sites? If you're blown away by the top sites in a market, it will be difficult to differentiate yourself and you may want to consider a different market. But if there's a lot of room for improvement – or, as we see it, opportunity to add value – that's a great sign. Site Reputation and Customer Loyalty – An online business might have a solid reputation based on years of treating customers well, despite a drab design and outdated site. Alternatively, the most beautifully designed site might have a widespread reputation for awful customer service. It can be difficult to judge a book by its cover. Check with the Better Business Bureau to see if a company has a history of customer complaints. You'll also want to do a web search to see what people are saying on social media and in online forums and communities. If the top competitors are slacking in the service and satisfaction department, there might be an opening for a store with superior service. When you perform a search, it's important to realize that Google personalizes the results you see based on your geographic location, your browsing history and other factors. When we're analyzing a market, we need to see unbiased results so we can understand the real competitive landscape. Also, if you're living outside the states but plan on selling to US customers you need access to the search results your US-based customers will see as those are the sites you'll be competing with. Incognito Search: If you use Chrome as a browser, you can browse the web 'Incognito'. In this mode, any personalized settings or browsing history will discarded so you can get an unbiased idea of how sites actually rank. You can start an Incognito browsing sessions by going to “File → New Incognito Window” or by clicking on the icon in the upper right hand corner of your browser and selecting “New Incognito Window”. Other web browsers have similar ‘hidden search’ modes that will clear your browsing history. Forcing Nation-Specific Results: If you'd like to see the results that appear for a nation other than your own, you can add a small amount of text to the end of the URL on a Google results page to get country specific results. For example, if you were in the UK but wanted to see the search results being returned to searches in the US, you'd add the “&gl=us” parameter to the end of the URL on the search results page and press enter. Similarly, if you were in the US and wanted to get UK results you'd add “&gl=uk” to the end of the URL. For a more detailed explanation of how to implement this, please see this guide to tweaking geo-targeting with Google and this list of country codes used by Google. Aspiring dropshipping entrepreneurs commonly want to know, How can I be sure that my niche will work out? The answer is, you can't! While the tips and guidance in this chapter will dramatically increase your chances and help you make an informed decision, there's no way to know for sure if you'll succeed in a market without diving in. We've started numerous businesses – some of which succeeded and some of which flopped – and we've always had doubts at the beginning. That's part of the uncertainty that comes with starting a business and venturing into the unknown. What separates entrepreneurs from mere dreamers is a willingness to move forward despite the uncertainty and give it their best. So do your homework, research and gather as much information as possible. But then make the best decision you can and move forward despite your hesitations and fears. If you wait for all uncertainties to be resolved with “the perfect market,” you'll never get started.